Recently, we spoke with Daniel Flint, the drummer from You Me at Six, as he and the band ready for the release of ‘Sinners Never Sleep’, their third album in four years. That’s not to say that the documentary is a simple “making-of” video though, the band saw the filming as a way to tell their story, in their own words. “It’s a really personal, truthful, in-depth look into what we’ve been doing for the last four or five years and how we feel about it. 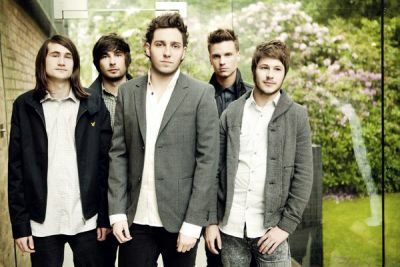 A lot of our interviews are done by Josh [Franceschi], the lead singer, but there are five people in this band, with five different attitudes to everything.” After a couple of false starts, the group is really proud of what they and the film crew have achieved as a collective. “The director, Tim Matthia, who also directed the video for ‘Loverboy’, did an amazing job, it really looks like a film, we were all blown away by it.” so impressed in fact, that the band released a trailer and held a screening for it. ‘Sinners Never Sleep’ and ‘Bite My Tongue’ represent a new chapter in the evolution of You Me at Six. Through recording the album and the documentary, the band have exercised their demons and emerged older, wiser, more positive and ready to take on the world together. For more information visit the official You Me At Six website.